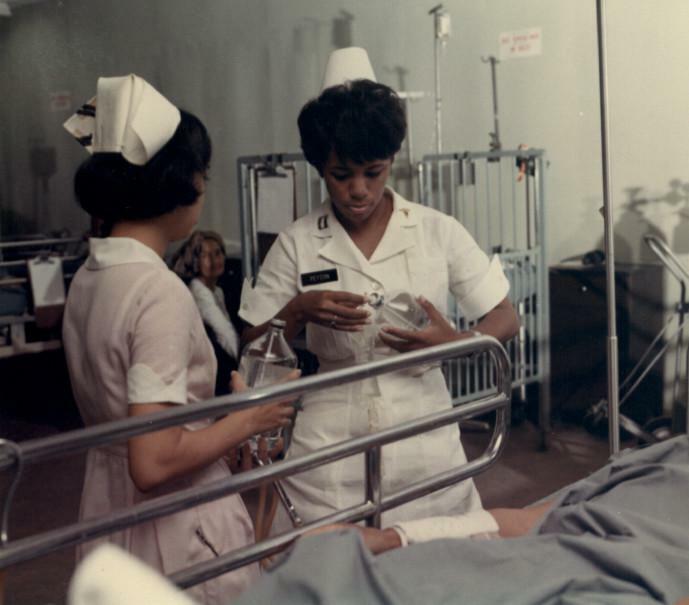 Like many of the men going over to Vietnam to serve their country, young women from all over the nation volunteered to serve as nurses in the hospitals and medical facilities in South Vietnam. These women volunteered for a variety of reasons: to serve their country, to help the service men who were wounded, to receive training and an education, to further their military careers, to prove themselves or just to have an adventure. The nurses served in the hospital ships of the Navy, the airlift helicopters and airplanes of the Air Force and the hospitals and field hospitals of the Army. 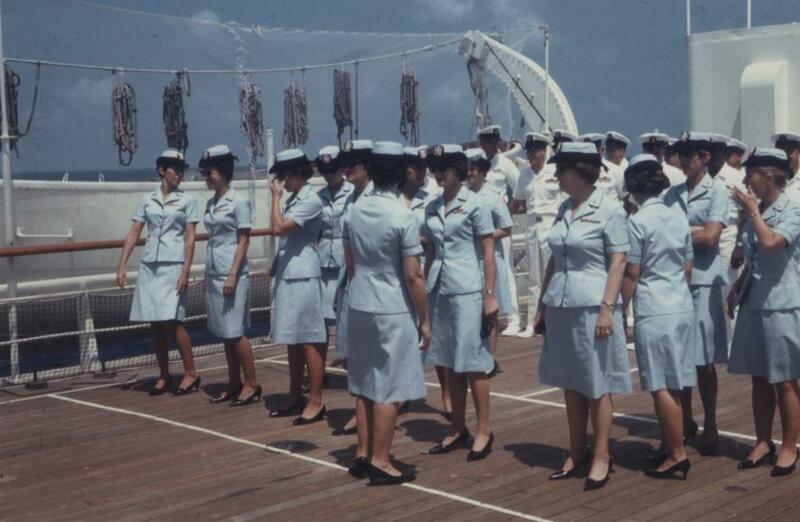 They arrived in Vietnam with various levels of nursing experience, from newcomers to the field with barley six months of Nursing under their belts to experienced veterans of twenty plus years. Usually the more confident and experienced the nurse, the better they were able to cope with the stress and the sheer number of casualties they treated on a daily basis. The Vietnam War was the first major conflict to use the helicopter to transport wounded quickly to medical facilities; sometimes a man would be in the hospital receiving medical care barely half an hour after he had been wounded. This new medevac system saved the lives of thousands of men who in previous conflicts would have died in the battlefield waiting for medical assistance. 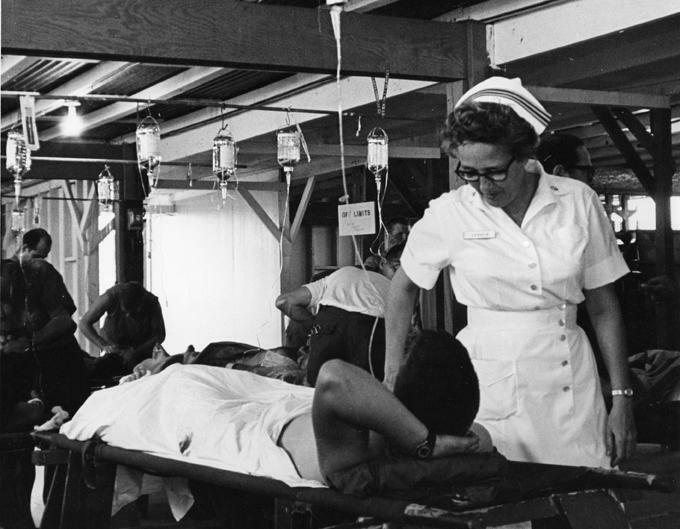 Because of this phenomenon, Vietnam nurses were faced with more patients and more severely wounded men than they had seen in previous conflicts. These nurses were required to make quick decisions on who was treated first and what type of treatment they would receive; a much more autonomous state than nursing in the states where they were expected to follow a doctor’s orders and nothing more. Combat nurses worked twelve hour shifts six days a week and when a mass casualty incident occurred, like a major battle, those twelve hour shifts could easily turn into twenty-four to thirty-six hour shifts. Nurses also volunteered their time in the communities around them, often going to the local orphanages or hospitals to offer the civilians their medical services or to teach classes on basic hygiene, first aid or even English. In addition, nurses had to deal with numerous emotions: stress from the amount of patients they had to serve, anger at seeing young men so horribly wounded and guilt at not being able to save all of the wounded men or make them whole again. 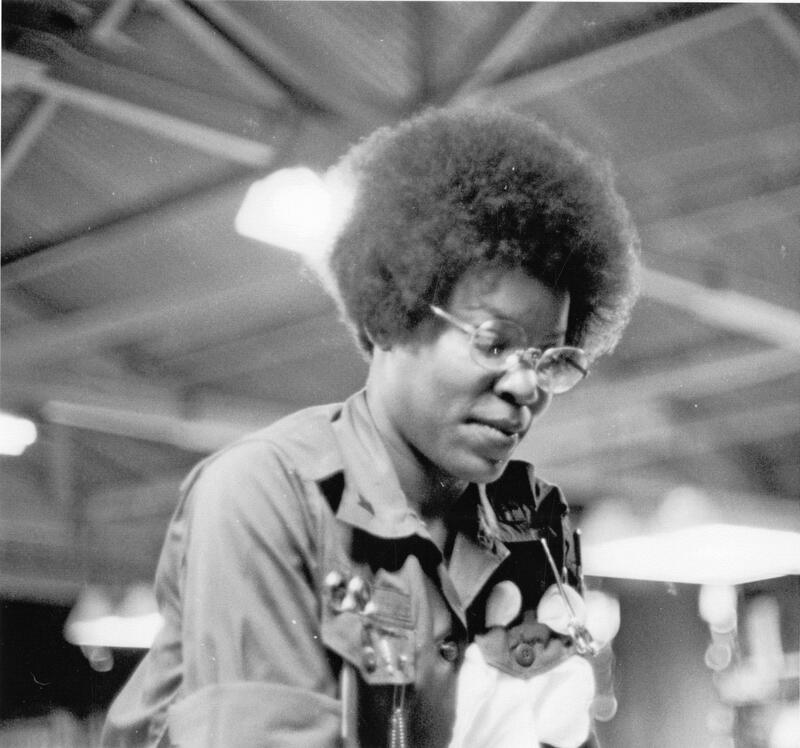 Despite the long hours and sometimes horrifying wounds these women had to face, many nurses found their service rewarding. They were able to serve their country and save and comfort the wounded men in their facilities. During the Vietnam War 98% of the men who were wounded and made it to the hospital survived. Nurses witnessed some truly miraculous events such as men recovering from their wounds or acts of true selflessness that are common during combat situations, and many nurses made close friends with their fellow coworkers some of whom still keep in contact into the present day. 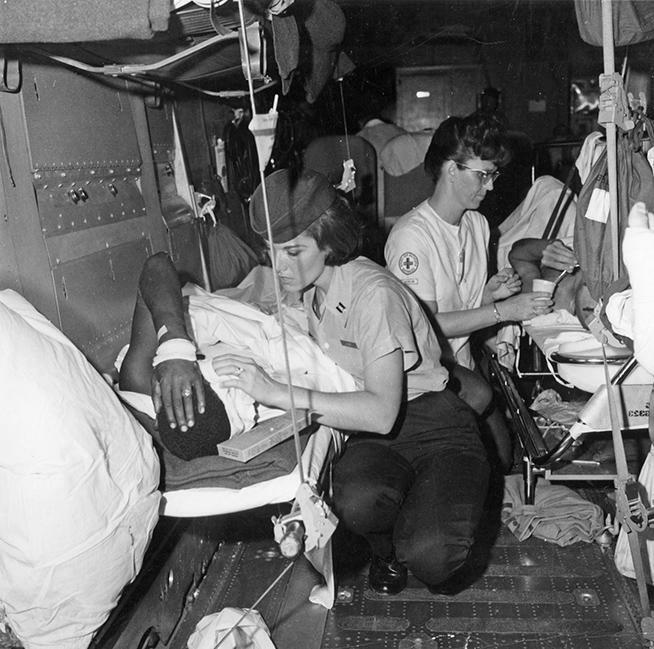 A U.S. Air Force flight nurse and a Red Cross nurse attend to the needs of American wounded prior to their aeromedical evacuation from Tan Son Nhut Air Base in the Republic of Vietnam. The wounded personnel are already aboard the Air Force C-141 which will take them on a direct flight from Vietnam to bases in the United States near specialized military medical facilities. 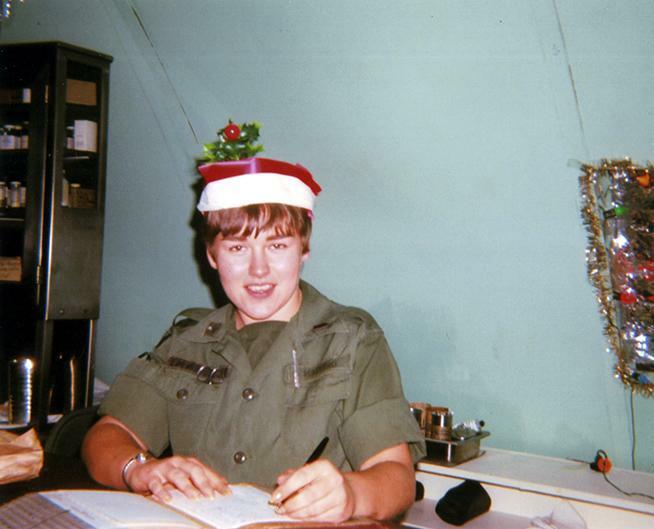 1st Lieutenant Cheri Hawes, US Army Nurse Corps, at desk for Emergency Room, 91st Evacuation Hospital, Chu Lai, Vietnam. 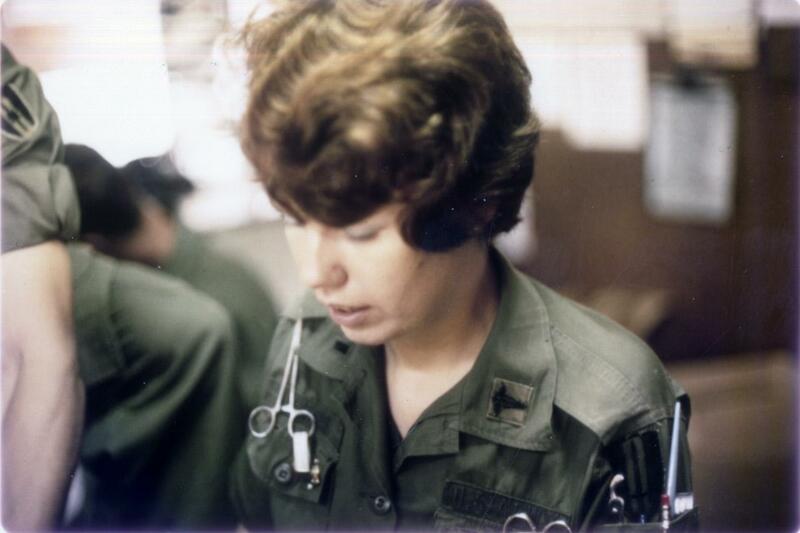 Lieutenant Magnolia Lilly, Army Nurse Corps, in Emergency Room, 91st Evacuation Hospital, Chu Lai, South Vietnam. 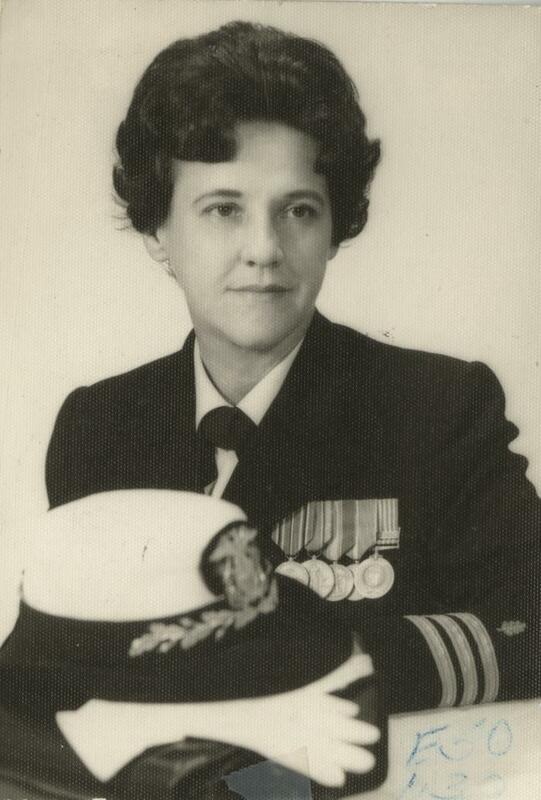 She was promoted to captain late in 1970 according to letter from Lieutenant Cheri Hawes. 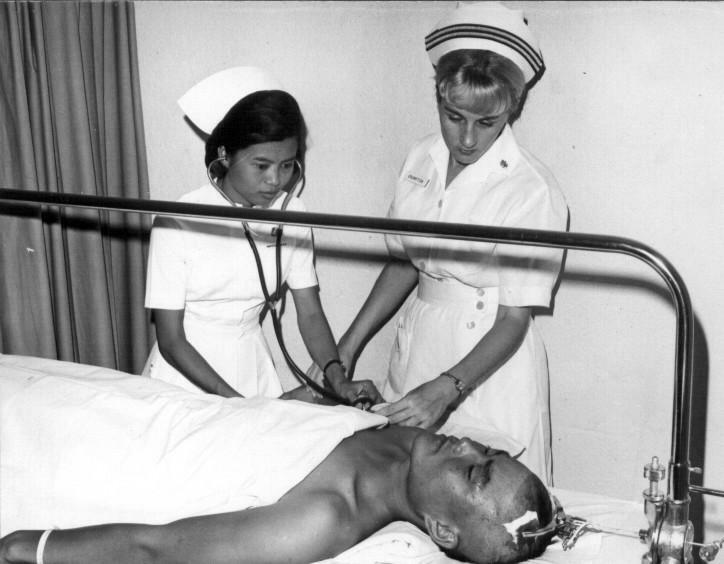 Navy Nurses, Headquarters support activity in Saigon, at work, hurt patient being cared for my nurses. 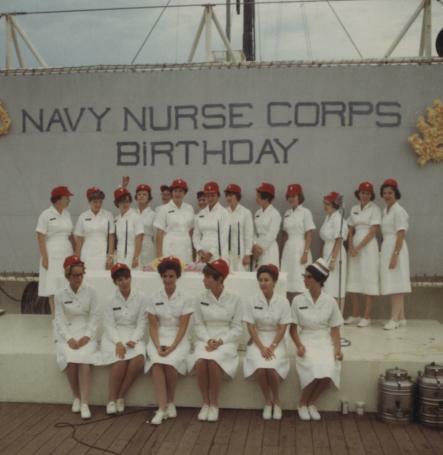 Some of the U.S.S Repose's nurses on the Navy Nurse Corps birthday. 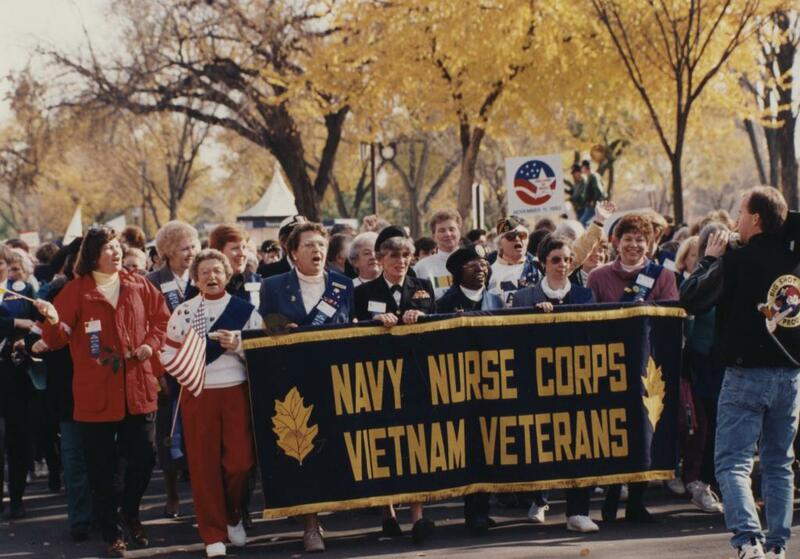 Navy Nurse Corps Vietnam Veterans parade in Fredericksburg, Va. Mary Niel, Frances Shea Buckley, Minnie Wiggins Yates. (middle three). National Nurses Week is celebrated annually from May 6, also known as National Nurses Day, through May 12, the birthday of Florence Nightingale, the founder of modern nursing.